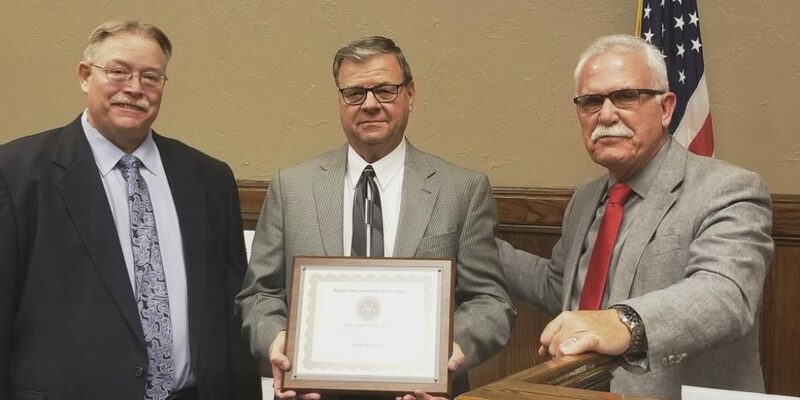 Garden City Fire Department Chief Allen Shelton, middle, accepts the 2018 Fire Chief of the Year award from President of Kansas State Fire Chiefs Association Pat Collins, left, and KSAFC Ex Officio Brad Smith, right. Garden City Fire Chief Allen Shelton has been named the 2018 Fire Chief of the Year by the Kansas State Association of Fire Chiefs. Shelton received the award during the association’s conference held in Garden City October 26-28. Shelton has spent his entire 44 year career with the Garden City Fire Department. He began in September 1975 as a volunteer firefighter, was then elected volunteer assistant chief in April 1978 and volunteer fire chief in March 1982. Shelton became the first full-time, paid fire chief of the Garden City Fire Department on February 27, 1984. During his time as fire chief, the department has grown from one full-time fire chief to a total of 38 paid employees, including three battalion chiefs, a fire marshal, six lieutenants, 26 firefighters and an administrative assistant. The department currently makes use of two stations, and plans are underway for a third station to be opened in 2024. 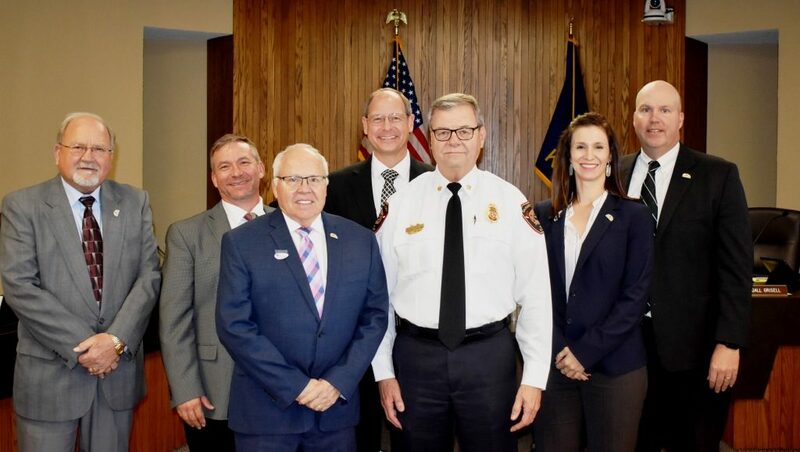 Shelton has been a member of numerous committees and associations throughout his career, including the Kansas Chapter of the International Association of Arson Investigators, and the Kansas State Fire Chiefs Association. Shelton has served as a board member and, most recently, as the vice president of the Kansas State Fire Chiefs Association. Battalion Chief Ken Seirer wrote in his letter of nomination that Shelton has always prioritized firefighter education and training. 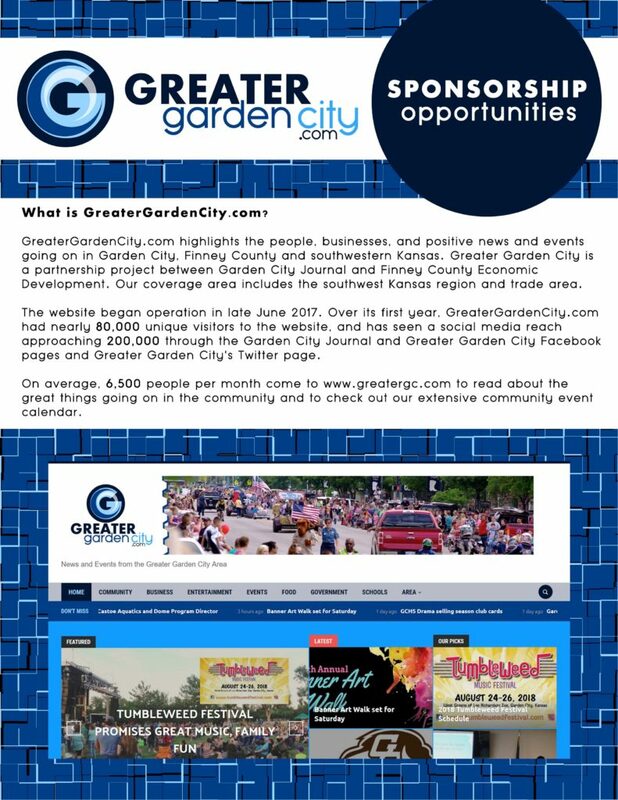 As one example of this, Seirer noted that the fire department and Garden City Community College teamed up in 2007 to build a training tower used by fire departments throughout southwest Kansas. He also cataloged various training and leadership courses Shelton has encouraged staff to participate in. “Another top priority for Chief Shelton has always been to provide each firefighter with the best and safest equipment so that they can provide the best service possible to the community,” Seirer wrote. 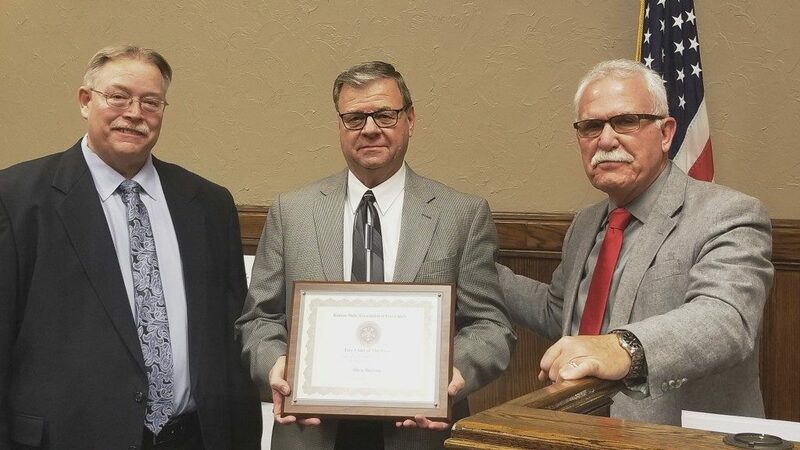 In addition to his recognition at the Kansas State Association of Fire Chiefs Conference, Shelton was also recognized by the Garden City Commission Tuesday. GCFD Chief Allen Shelton was recognized during the Nov. 6 Garden City Commission meeting. Shelton is pictured with the Garden City Commission and City Manager Matt Allen.